Take your business to new heights, with Hike’s powerful Dashboard. Enjoy the benefits of your new mission-control that you can access from anywhere. Right from the beginning, we set out to create a POS that was sophisticated on the inside but stunning on the outside. Hike’s Dashboard is the perfect convergence of style and substance, with a user interface that’s streamlined. 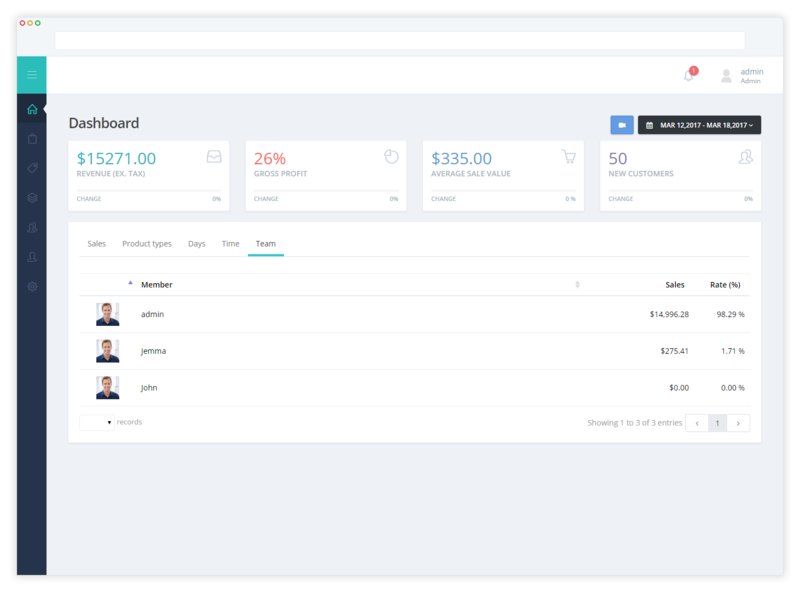 Whether you’re an experienced point of sale user or just starting, our Dashboard will undoubtedly impress. Real-time information from anywhere, anytime. Your entire store’s mission control and dashboard can now be in your hands anywhere. Literally. With Hike, you no longer need to be in-store to make important changes like product pricing or inventory updates. Any changes you make will be applied instantly on all cash registers, all in real-time, saving you valuable resources. 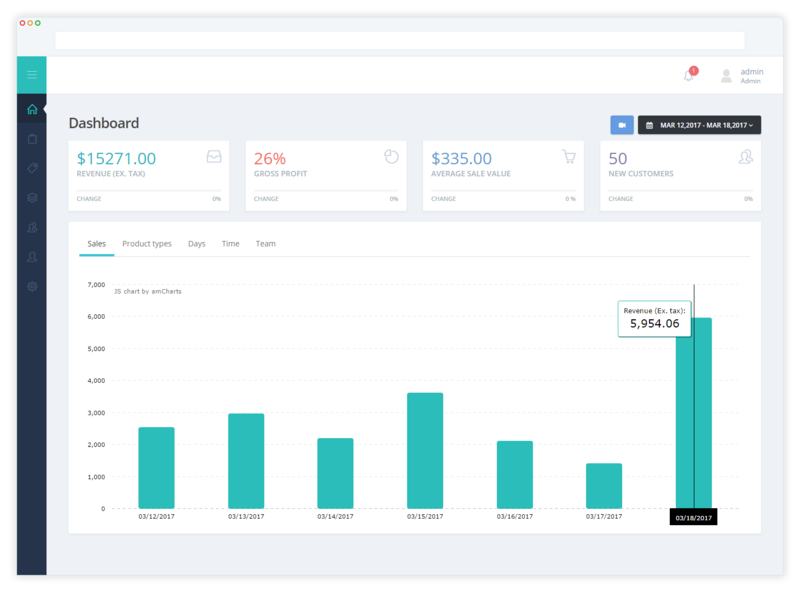 Hike’s Dashboard provides retailers with real-time insights into every aspect of their business. Learn more about your business with our integrated reporting, designed to help you with find out what aspects of your business are performing well, and what needs improvement. Transactions and deposits that come in and out of your business, are easily trackable on Hike’s Dashboard. 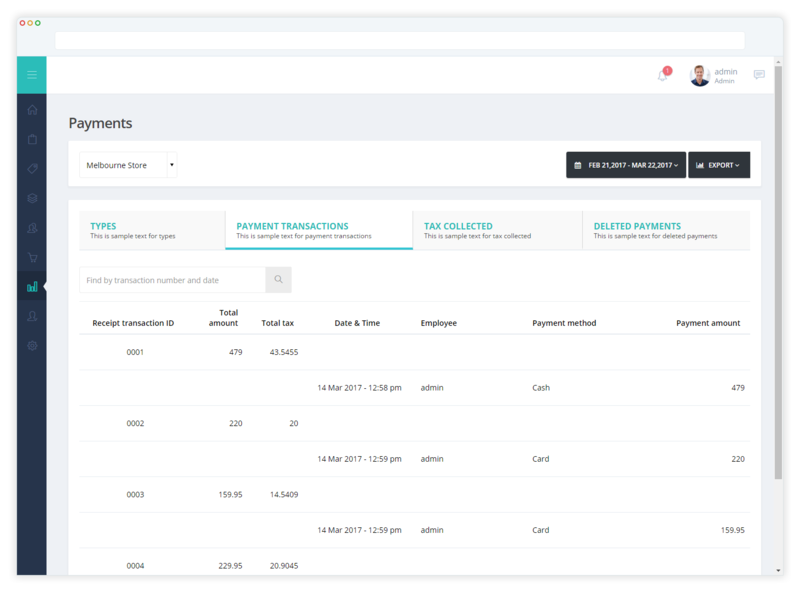 Have a complete overview of your debtors, cash in cash out, invoices and more at any time. 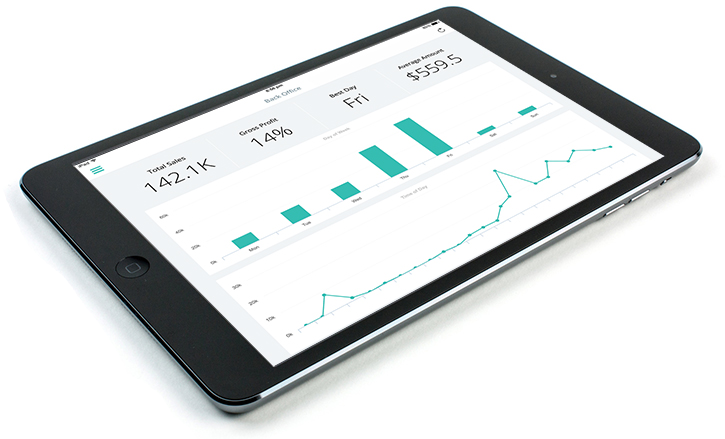 Hike’s reporting features, visualizes your data in simplified charts that avoids the pain of going through countless spreadsheets, and makes it easier to view trends in your business over periods of time. Manage staff rosters & permissions on the fly. 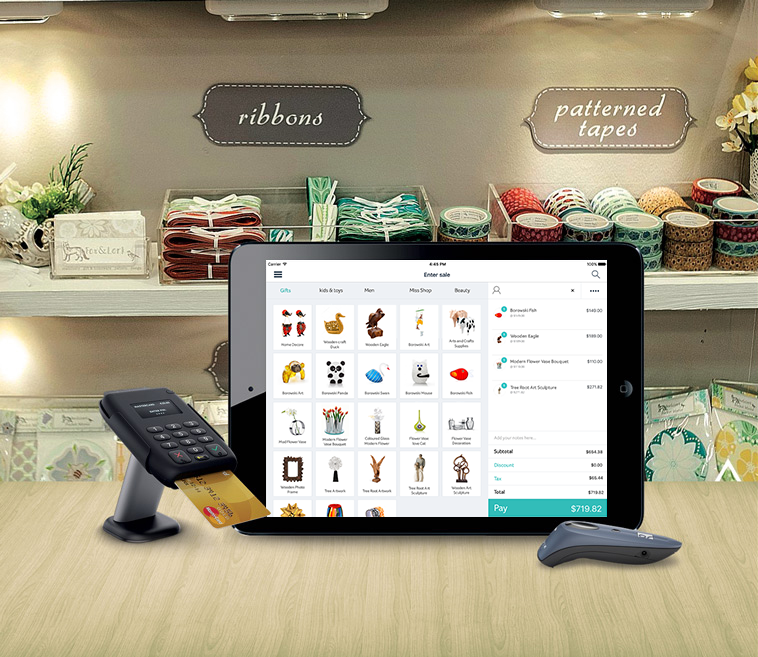 Manage your staff’s user permissions and roster shifts on your POS. Your Hike staff management tool lets you schedule your employee’s hours, manage public holidays and organize shift changes. The mobility of Hike means that you can set and change permissions for the entire system, on-the-go and 24/7. Make retailing for your staff and customers easier, with Hike’s dashboard that displays your products in stunning detail. 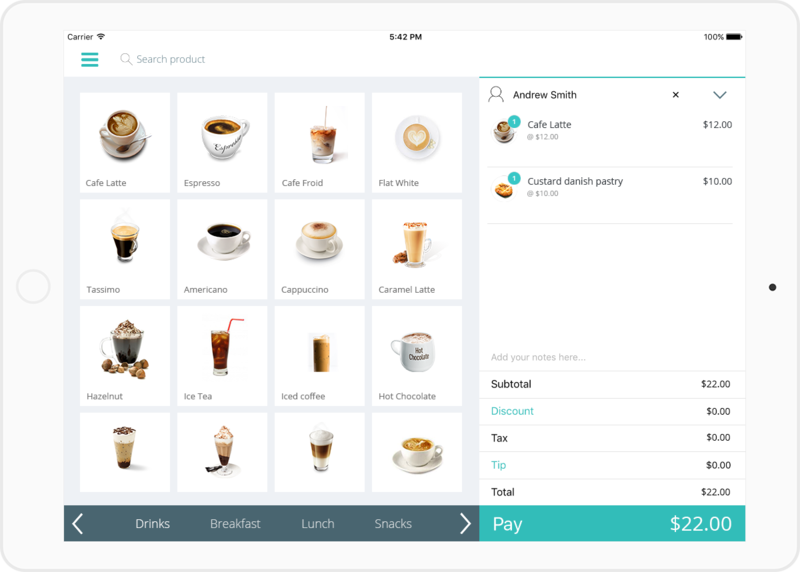 Have meaningful interactions with your customers as you bring your tablet to them, showing off your products, all whilst completing transactions on your streamlined Hike POS dashboard. Sign in to your Hike Dashboard from any computer to access important data from anywhere. Real-time reports show you hourly sales by location. Compare your daily business over time. Import groups of items for easy inventory management, and set employee permissions. Key in card payments from your Hike Dashboard in seconds with the Hike Virtual Terminal. Download the Hike Dashboard app, free on the App Store today! 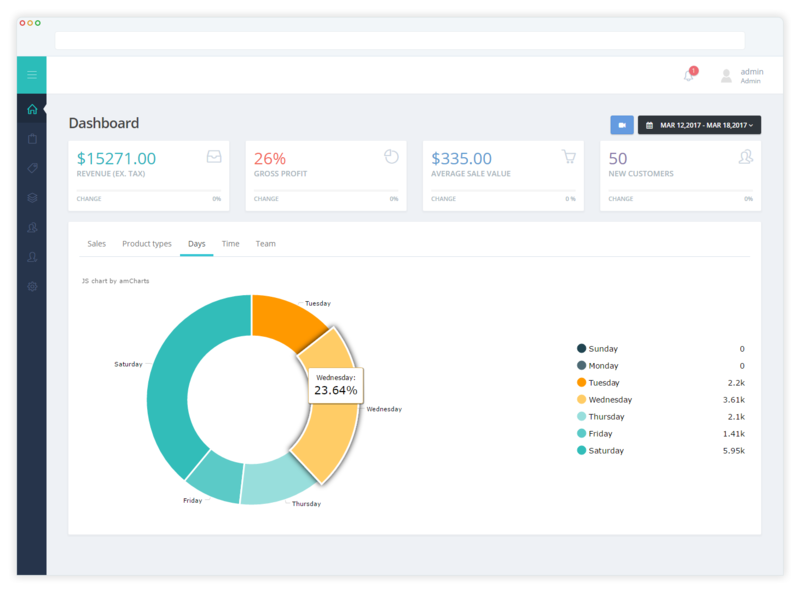 Hike Dashboard gives you more than just reports. Take payments with Hike Virtual Terminal, manage your inventory, create customer promotions, book appointments, and more. Set what features your staff can access with passcodes. Keep tabs to see who’s selling the most. Compare sales across multiple locations & edit prices for all your locations. Even manage timecards. A detailed customer directory lets you send marketing campaigns to further engage your business. Get paid faster with invoices sent securely to clients’ inboxes. Pay only 2.9% + 30¢ per paid invoice! Upload items faster & change details in real-time. Track stock levels & get alerts on low stock. Connect your Hike account to services like QuickBooks, Xero, Shopify and more. Accept payments remotely with your computer. Get your funds as fast as the next business day.